Increase self-confidence when speaking in front of others. The main public speaking education program supported by your 4-H Office is called County Events. Talks must fall between 3-12 minutes for juniors and intermediates, and 5-12 minutes for seniors. Team demonstrations must show active, equal participation of both members. Presentation must fall under an approved category. Topic Selection- should be age appropriate and preferably related to their 4-H project. Organizing Thoughts- points should be logical and support the main theme. Practice Strategies- club meetings are a great place to practice and practice makes perfect! Through this dual recognition system it would be possible for a blue ribbon presentation to place third in peer competition. All 4-H’ers who achieve blue ribbon standard at the county level move forward to the district level of competition. 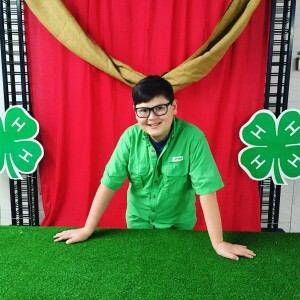 If you have a passion for public speaking, consider becoming a 4-H volunteer. We are in need of judges for our speech contests as well as speech coaches. For more information on County Events please contact your local UF IFAS County Extension Office or visit http://florida4h.org. I just discovered a few years ago that my great-grandmother, whom I never met, was an Irish redhead. I found this very exciting. It made me much more interested in learning about the history of St. Patrick’s Day, beyond wearing green. We live in a culture where we look for the next person or event to celebrate. For those who are Irish, St. Patrick’s Day is a time to reflect and celebrate their culture and traditions. So, although you may not be Irish, why not learn more about the Irish culture and why they are proud of their heritage? At your March 4-H club meetings, it would be fun to celebrate St. Patrick’s Day and incorporate the four-leaf clover and relate it back to the 4-H clover and what they both represent. Whether you are a 4-H leader or a teacher or parent looking for creative ideas, I hope you enjoy this brief history lesson and a few suggestions. Who was St. Patrick? St. Patrick is the beloved patron saint of Ireland. The Irish are famous for spinning exaggerated tales. Despite the infamous stories traditionally attributed to St Patrick, this is what we actually known about his life. We do know that St. Patrick was born in Britain and that at the age of 16 was captured by Irish raiders who attacked his family’s estate. He was then transported to Ireland where he was held captive for six years, living a solitary, lonely life as a shepherd. It was then that he became a devout Christian, embracing his religion for solace. From his writing, we know that a voice, which he believed to be that of God, spoke to him in a dream, urging him to leave Ireland. He did. Walking nearly 200 miles, St. Patrick escaped to Britain and undertook serious religious training. After 15 years of study, Patrick was ordained as a priest and sent to Ireland. His mission was to minister to Christians and to convert the Irish, then pre-dominantly pagans, to Christianity. Because St. Patrick was familiar with the Irish language and culture from his years of captivity, he chose to incorporate Irish ritual and symbols into his teachings rather than to eradicate Irish beliefs. 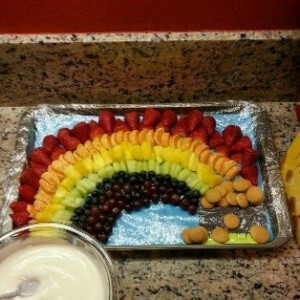 Today, although less religious, St. Patrick’s Day celebrations continue to be a show of Irish strength and patriotism. So, put on your GREEN and get ready to celebrate! 1) During a meeting or event read a “thought for the day” and use an Irish quote. 2) Encourage the youth to wear green. Green colored pudding or popsicles. Green fruit and vegetable trays (cucumbers, peppers, apples, grapes, kiwi). Origami and/or construction paper four-leaf clovers. There are approximately 10,000 three-leaf clovers for every “lucky” four-leaf clover. There are no clover plants that naturally produce four leaves, which is why four-leaf clovers are so rare. Today, four-leaf clovers are associated with St. Patrick’s Day, but they appear in centuries-old legends as symbols of good luck. The Druids (ancient Celtic priests) said they could see evil spirits coming and have a chance to escape in time. Four-leaf clovers were Celtic charms, presumed to offer magical protection and ward off bad luck. Children in the Middle Ages believed if they carried a four-leaf clover, they would be able to see fairies. The first literary reference to suggest their good fortune was made in 1620 by Sir John Melton. The leaves of four-leaf clovers are said to stand for faith, hope, love, and luck. If you have a passion for cultural heritage, consider becoming a 4-H volunteer. We need volunteers willing to share their rich cultural heritage with the next generation so that they can grow into a culturally competent workforce of tomorrow. 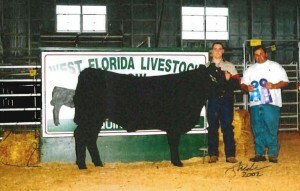 For more information, contact your local UF/IFAS Extension Office or visit http://florida4h.org/volunteers. 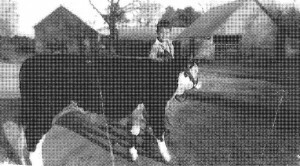 Angel (Clark) Granger showing her steer in Gadsden County, igniting a lifelong passion for 4-H. I didn’t realize until recently just how deeply my roots are tied to 4-H. Not only does my family represent four generations of 4-H (with the addition of my granddaughter joining this year), but because there were people I took for granted that were absolutely engrained in Extension and 4-H. I was the first child of Nelson and Karen Clark. I grew up on a farm raising cattle and goats. My grandmother was Ruby Scott Clark and everybody called me “Little Ruby” when I was growing up. She taught me how to string tobacco, garden, ride horses, drive a car, and how to make hoecake. My Granny’s best friend was Miss Elise Lafitte, County Home Demonstration Agent in Gadsden County during the 1950’s. She introduced my aunt, Shirley Clark, a now retired FCS Agent, to my uncle, Scott Clark. 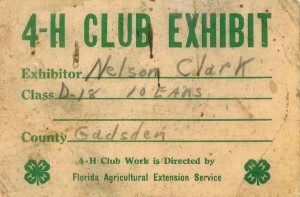 My cousin Bernard Clark was an Extension Agent in Gadsden County who is in the Florida 4-H Hall of Fame. My uncle Charles Rowan was an Ag Agent in Dixie and Pinellas Counties. 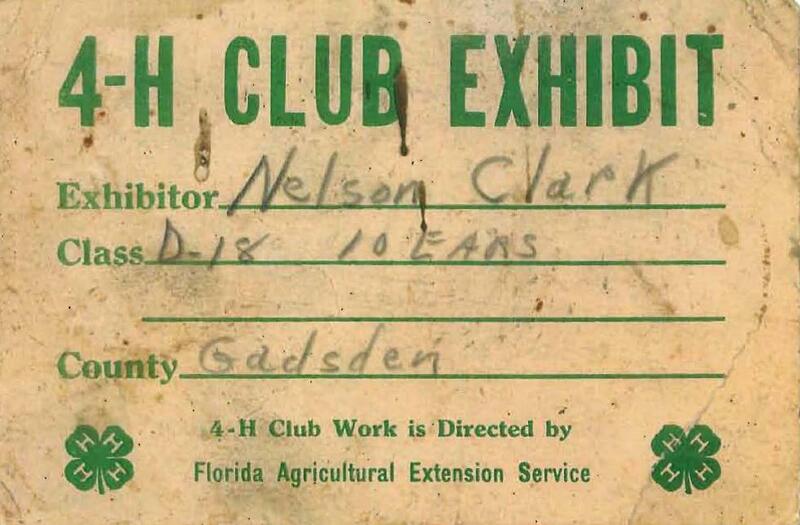 If you read the chapter regarding Gadsden County in the book commemorating the 100 year Anniversary of 4-H in Florida, “Florida 4-H, A century of Youth Success”, you will see my Dad, my sons and me highlighted for our three generations of 4-H participation. Growing up, I never tried to figure out what Extension was or why we had 4-H, it was just always there. My 4-H Agent growing up was Dickie Bentley. She made monthly visits to Greensboro Elementary School to teach us about record books and 4-H projects. I learned about veterinary science, public speaking, and how to give a demonstration. I still have every ribbon and pin I earned. I left high school in the eleventh grade to help save the family farm from foreclosure. I soon married my husband Anthony and we moved to Tallahassee to work. In 1985 we bought 10 acres from my Dad, and we moved back home. In 1988 my second child, Cody was born. From the time they were old enough to tote a bucket, my husband and I worked the farm with my dad and taught our sons the value of life on the farm and family traditions. 4-Her. He made sure that I had those same opportunities in 4-H. He bought steers, hogs and feed for me to show as a child, and later also for my oldest son Cole. 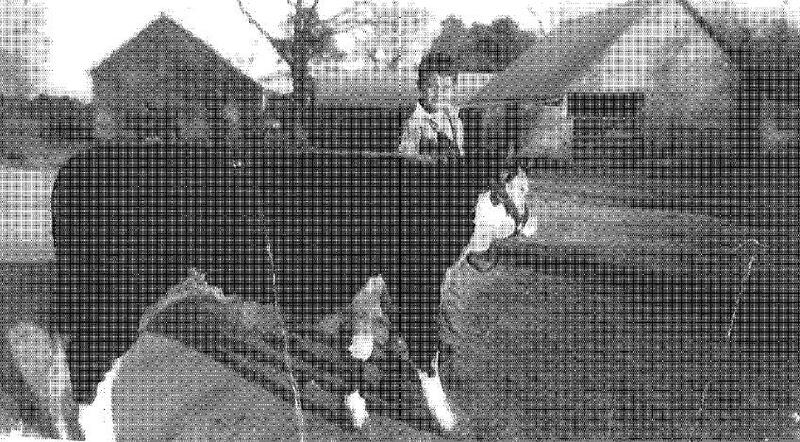 He and proudly watched Cole work with and show his first steer in 1994. Sadly, I lost my Dad three months later. He was only 54 and had spent his whole life trying to keep our farm going. I watched my Dad struggle every day, working as a barber, a school bus driver, and a farmer to make ends meet. He bought cheap cattle, made poor decisions regarding crops, nearly lost everything to bankruptcy and soybean disaster, but he never gave up. I vowed the day I buried my Dad that I was going to find a way to help other people like my Dad, I just never dreamed it would lead me into Extension. Angel’s sons, Cole and Cody Granger, also grew up in the 4-H family tradition and reply on many of the skills they learned in 4-H in their jobs as civil engineers. After dad’s death, we continued what he started by keeping the boys in 4-H. I became the livestock club leader. 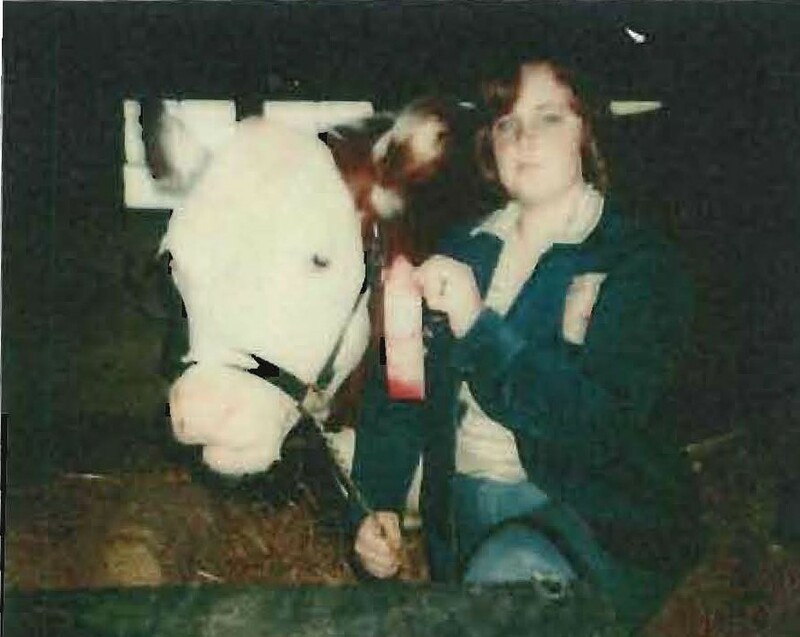 My husband also volunteered to keep our boys active in 4-H showing cattle, hogs, and horses, and competing in county events until they both graduated high school. Both of my sons will tell you that 4-H played a huge role in making them the men they are today. They were part of clubs that had inclusive environments, they had opportunities to meet new people and were both able to use the skills they mastered to be successful in not only their college careers, but as professional engineers today. becoming an Extension Agent and working with farmers and families to help them make good decisions and have access to resources. After two years, I was hired as the 4-H Youth Development Agent in Jackson County (ironically my Granny was born and raised in Bascom, a small town in Jackson County). After a successful 32-year career with the Florida Department of State, I set out on another exciting 4-H journey. Every day I strive to honor the memory of my Dad (who would have been 76 years old this month), my Granny, and my other family members who have been part of the legacy of Extension. Most importantly, I strive to make a difference in a young person’s life just like my 4-H Agent did. Are you part of a 4-H family tradition? If not, consider starting one today. 4-H offers a broad spectrum of projects and activities to serve a variety of interests, skills, and knowledge. Contact your local UF IFAS Extension office or visit http://florida4h.org to enroll as a youth member or adult volunteer! All Aboard the 4-H Chick Chain! 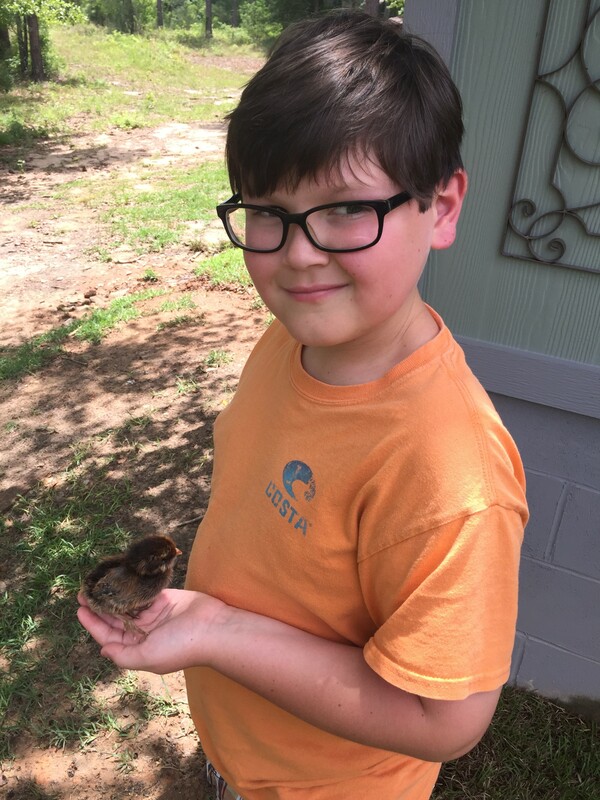 Chick Chain is a great way for youth to learn life skills such as responsibility and record keeping while developing an appreciation for agriculture. Youth will raise the chicks to about 22 weeks old and then participate in a district show and showmanship contest with their three best pullets (young hens less than one-year-old) from one breed. If there is more than one child in your family, you can choose to share one project. The 4-H Chick Chain is designed to take you step by step through the process of raising your birds to healthy laying age. Before you take ownership of your chicks, you’ll participate in a youth/parent workshop where you’ll receive a production manual and tips to make your project a success. During the summer, there will be a care and showmanship workshop in your 4-H district. Your 4-H Agent or volunteer will also make a home visit to check up on your progress. We’ll also have a record book workshop to help you tackle the record keeping part of your project. Youth will learn about animal nutrition, health and biosecurity as part of the 4-H Chick Chain. The 4-H Chick Chain is open to all youth ages 5-18. Registration cost is $50 and includes your 12 chicks, production manual and entry for the show and showmanship contest. How do I sign up? 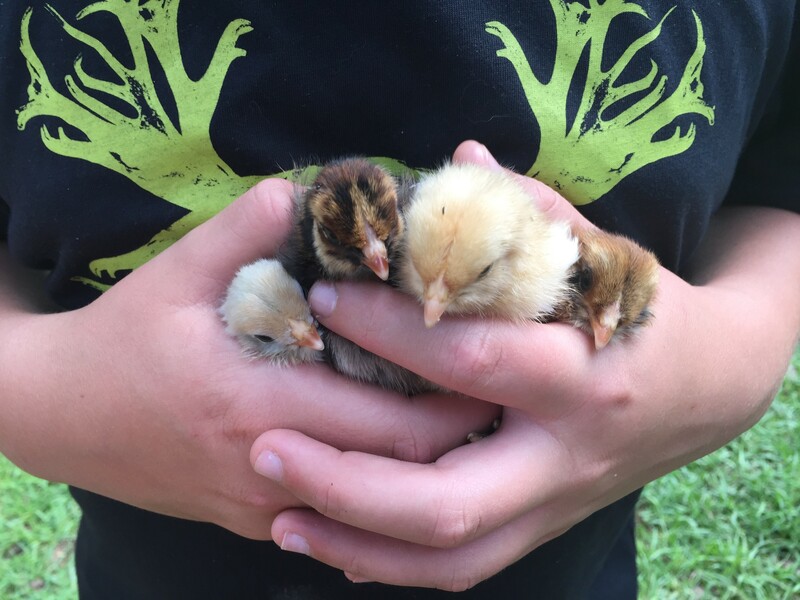 To register for the 4-H Chick Chain, click here: 2016 Chick Chain Registration Form. Follow the instructions on the registration form, and contact your 4-H Agent if you have questions. Youth who participated in the 2015 4-H Chick Chain can register their hens to show in a production class. If you have a love of poultry that you would like to share with others, consider becoming a 4-H poultry project leader. Volunteer positions are currently available to support 4-H Embryology in the Classroom, Chick Chain, and 4-H Poultry Clubs. Contact your local UF IFAS Extension Office or visit http://florida4h.org/volunteers to find out more.